Twenty Dollar Gaming – and a thank you! First up, thank you to everyone who’s played (and especially bought) Masques and Murder! Your support is amazing! Today we passed both the 1000 downloads and 100 purchases milestones. But wait, there’s more! I’ve also started a new project: a podcast with friend and fellow game-enthusiast Andy Noelker. Andy and I love playing games, and we love to chat about them. When we did our MA together we’d natter on for hours about this game or that mechanic. But there was always something missing. Turns out, it was a mic and an upload button. I’m kidding, but we really did enjoy those chats, and we hope you will too. That’s why we’ve started Twenty Dollar Gaming. 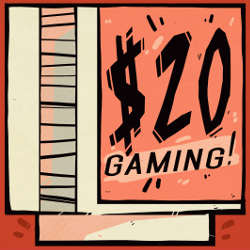 The idea is we spend $20 each month on games (mostly indie), then talk about them. And we hope you can be part of the fun, too: we’ll announce each month’s game ahead of time so people can buy the game, play it along with us, and vehemently disagree with our conclusions in the comments! “Mostly we’ll cover indie games, and they will (we hope) be universally interesting. Maybe not polished, maybe not masterpieces, and maybe not fun. But we aim to have something to chew over at the end of the month: perhaps an intriguing mechanic, or an unusual structure, or even just an unexpected tone. We don’t want to like these games: we want them to be interesting. The two aren’t mutually exclusive, but still. When do we start? We already have! 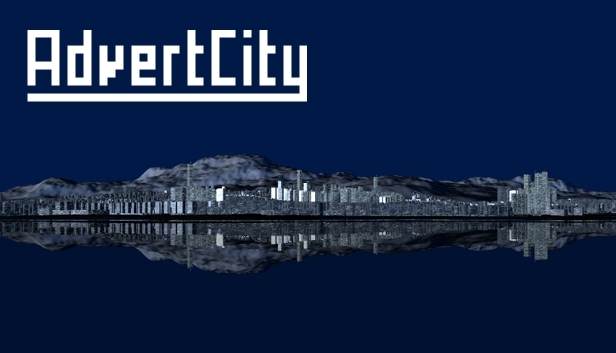 Last month we played Tale of Tales’ Sunset – you can listen here – and right now we’re playing cyberpunk megacorp sim AdvertCity. Play along with us! I tried out your game, and like it, except for one thing… I’ve reached level 20 on all skills, cannot visit the princess anymore, went and killed all 3 brothers, and now have no way to advance time. I’m on day 46 and cannot finish the game ;( Please tell me I get to kill the prince!! How do I move time along?! Thank you so much for making this, it’s awesome! !